8mm stud bolt, 8mm thread but 7mm unthreaded part The whole may need 8 mm. This review is about item#20291407. This review is about item#20291547. When installing with grooves and vise of the milling cutter, it was very easy to install. This review is about item#20291574. The bad thing will remain crooked when you add power, but this is very good as it returns like a spring. I was looking for things that were not screwed in the middle. Quality is also satisfactory. Since the bolt has strength, it can understand tightening adjustment well by elongation condition. This review is about item#20291565. 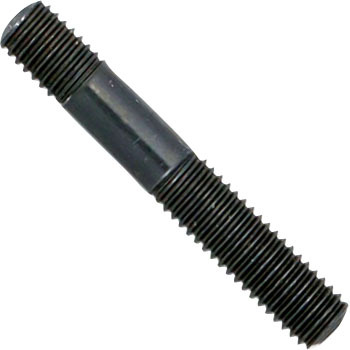 If you put a stud bolt in the tapped hole, the tip can swing greatly and it can not be used. If you roll the stud bolt alone, it rolls smoothly, so it seems that the bending of the screw part is large. This review is about item#20291522. It is a stud bolt so it can be used without any problems. The price is reasonable and satisfying. This review is about item#20291452.